The Star Trek world is expanding once again, with CBS All Access confirming a new live-action Star Trek series is in the development stage. 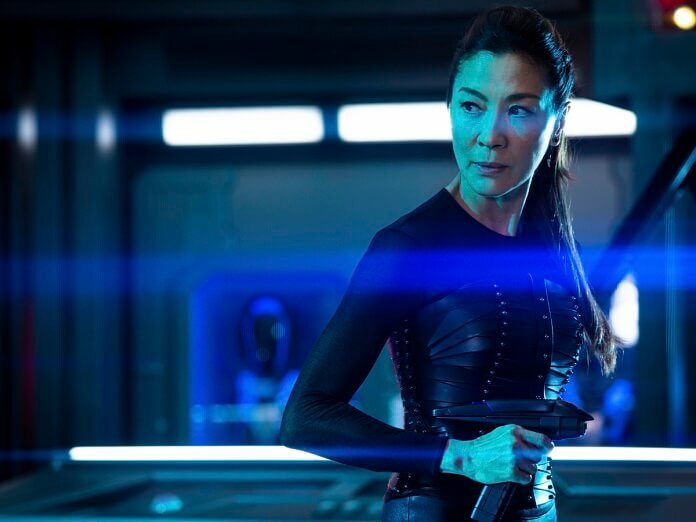 Michelle Yeoh’s Captain Philippa Georgiou character will be spun-off from Star Trek: Discovery into the new currently untitled series involving the Section 31 division. The untitled series has Alex Kurtzman, Heather Kadin, Rod Roddenberry and Trevor Roth on board as executive producers. Erika Lippoldt’s been tapped to write the spin-off which will explore the shadow organization within the Federation. CBS Television Studios, Secret Hideout and Roddenberry Entertainment are producing the new sci-fi series. In addition to Star Trek: Discovery, Michelle Yeoh’s credits include Crazy Rich Asians, Crouching Tiger, Hidden Dragon, Memoirs of a Geisha, Sunshine, and Tomorrow Never Dies. Season two of Star Trek: Discovery will premiere on Thursday, January 17, 2019. CBS All Access hasn’t announced when we can expect the just-announced new series to debut. The cast of Star Trek: Discovery is led by Sonequa Martin-Green (Commander Michael Burnham) and includes Doug Jones (Commander Saru), Shazad Latif (Ash Tyler), Anson Mount (Captain Christopher Pike), Anthony Rapp (Lt. Commander Paul Stamets), Mary Wiseman (Ensign Sylvia Tilly), Wilson Cruz (Dr. Hugh Culber), Mary Chieffo (L’Rell), and Ethan Peck (Spock).